Mostofa Sarwar Farooki is a leading Bangladeshi filmmaker who produced lots of well-liked films and dramas. He is considered as a modern film director, screenwriter, and producer. Farooki has created a new wave in the film industry of Bangladesh by his excellent filmmaking technique. He has been attempting to drag the Dhallywood film industry from the away of ruin since early career. Mostofa Sarwar Farooki was born on May o2, 1973, in Dhaka, Bangladesh. He has been living in Dhaka from early childhood. Farooki admitted into Jahangirnagar University in Dramatics. From a humble student life, he turned himself into a country’s leading media personality. He was passionate about media arena from early childhood, used to enjoy lots of cinema with friends going to the cinema hall. Mostofa Sarwar Farooki started his career journey with making television dramas, although he wanted to make a film in early of career. In 1999, Farooki made debut in the television drama industry with the ‘Waiting Room’. He has made various dramas jointly with writer Anisul Hoque. Farooki’s dramas mostly get popularity to the audience some of his popular dramas are included like Karam, 420 and Ekannoborti. He is also a leading television advertisement producer in the country. Mostofa Sarwar Farooki made debut in the film industry with the direction of Bachelor in 2003. Then he made his second movie Made in ‘Bangladesh’. First tow movies were criticized around the country for various causes. 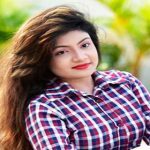 Farooki’s directed third movie ‘Third Person Singular Number One’ has created a fierce stir in the Dhallywood box office. From then, his directed most of the films get international acclamation. His excellent direction has the movies made popular to the viewers. Farooki has formed an organization aiming creation better movie named ‘chabiyala’ with some co-workers. He is the pioneer person of the organization. Mostofa Sarwar Farooki got married to one of the country leading actresses Nusrat Imroz Tisha on July 2010. The celebrity couple has been happy ending their courtship relationship with the marriage.